Who is enjoying the summer? I know it’s been a busy one around here and that’s how it usually goes. In spring I imagine myself kicking back and having a lazy summer but being lazy must not be in my bones because it never seems to happen. This summer we decided it was time for us to move from our starter home and find something that fit our needs better. A little surprise happened in our new backyard that gave me a lot of inspiration for the 5th Colorwheel Loops & Threads Yarn blog post. Of course I knew I needed to have a baby pattern to add to the mix since baby items are one of my favorite things to knit. While doing some trimming in the backyard I noticed I was surrounded by caterpillars and butterflies! I think they especially love the lime trees. Which we happen to have 5! 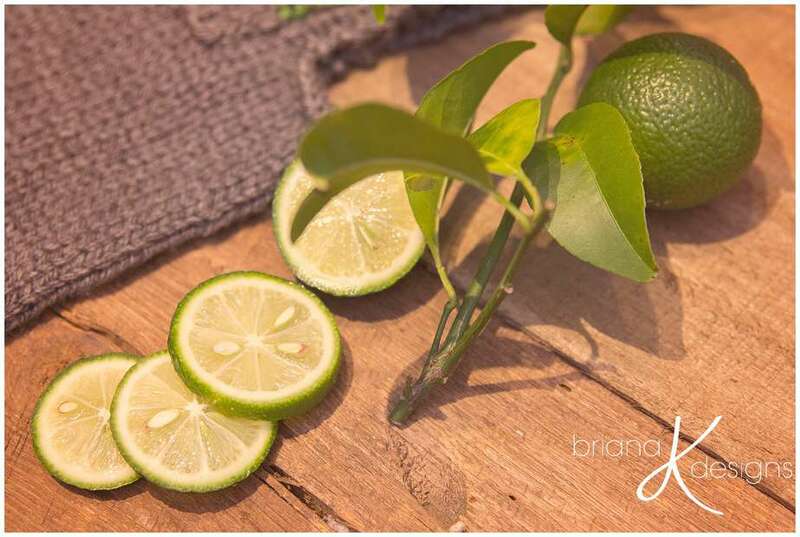 Oh so many limes!! Key lime pie is going to be regular around here. I knew I wanted to incorporate a little bit of the backyard into my design and Colorwheel Loops & Thread Yarn is just PERFECT for those awesome color pops. Something marvelous about Colorwheel Loops & Thread Yarn (exclusively at Michaels!) is the color choices. 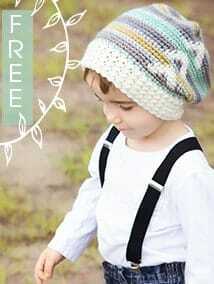 Let your own environment inspire what stripes of colors you will use in your baby overall design. What are you waiting for?! Click Here to see the color choices and then get knitting! A little one is sure to cherish this adorable outfit. You don’t want to lose this so save it for later. FREE patterns in the future. 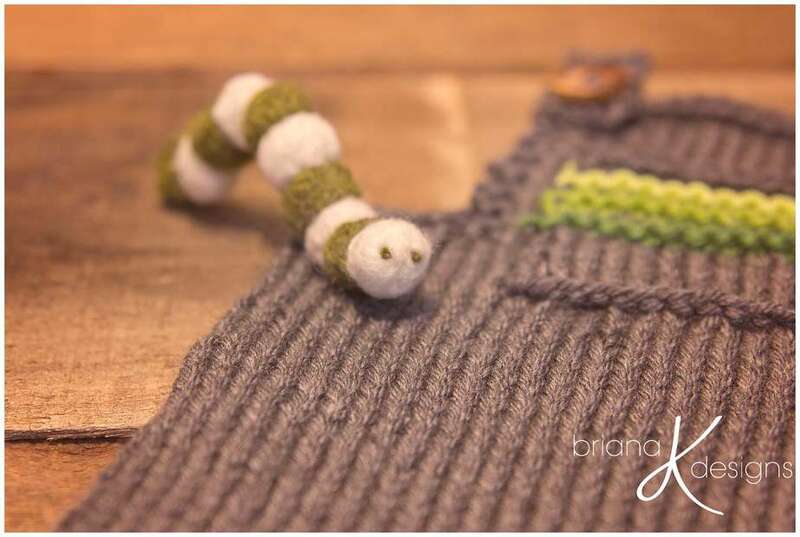 The Caterpillar Overalls are worked in the round from the bottom up and flat for the bib. One leg will be worked and then placed on a stitch holder or yarn scrap and set aside. The second leg will be worked and then legs will be joined to begin working the body. The front and back bibs will be worked independently with shoulder straps attached on the back bib. Basic Bind Off: Knit 2 stitches, insert the left needle into the first stitch on the right needle. Pull the first stitch on the right needle over the second stitch and off right needle. The second stitch will now be the only stitch left on the needle. Attach yarn to held stitches for right strap with wrong side facing, repeat same steps as left strap. 6-7 With Color B, knit. Fasten off at end of row 7. Sew buttons to the front top corners of overalls and block. 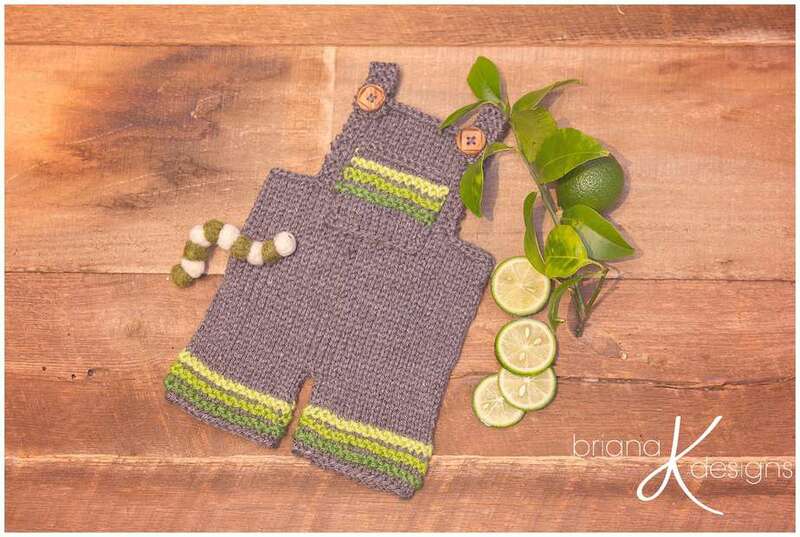 Having knit a great many rompers, shorties, longies, and wool soaker I would like to respectfully recommend you include a crotch gusset and short rows to better accommodate body shape and the additional bulk of a diaper. It will make for a better fit that looks nicer and is more comfortable when worn.